Liam Dickinson wears black high top Converse “Chuck Taylor” All Stars in the film. Chloe and Jacob are threatened by a vicious trio of thieves in Home Invasion. Why certain movies exist, I have no idea. I remember shopping as a kid in Blockbuster (yeah, those actually existed) and strolling through the Sci-Fi section and passing movies I thought looked awfully familiar. A quick look at the back of the box showed me why. Many of these films were B-movie copies of popular blockbusters like Transformers and War of The Worlds. Bearing clever titles such as Transmorphers, I wondered why these were even made. Having never watched one, I never got a full idea. Having watched Home Invasion, I still have no idea. Mike tells Chloe where to move through the house to avoid the invaders. If you’ve seen The Purge, Panic Room, or any of the Home Alone films, you’ll know the plot of Home Invasion. Natasha Henstridge (Species) is Chloe, a wealthy housewife who’s stepson Jacob (Liam Dickinson) is visiting for the weekend. One night, she is spending time with a friend, who upon leaving, is gunned down by a mysterious masked man. 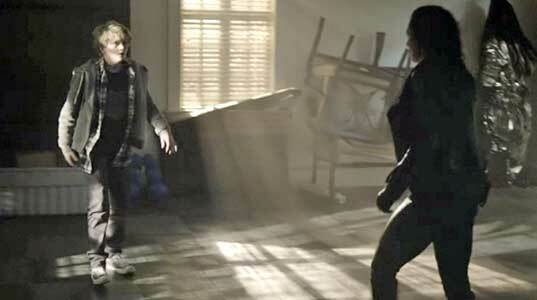 The masked man and his partner proceed to storm Chloe’s house, forcing her to call security. 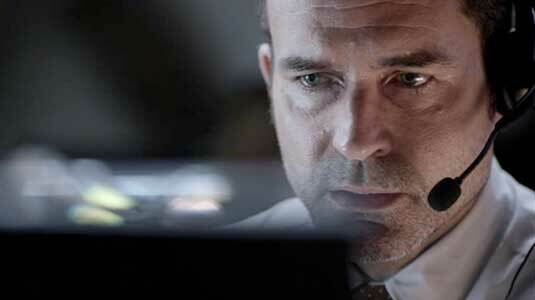 Jason Patric (The Alamo) comes into play as Mike, a consultant at the security company covering Chloe’s home. While the invaders cover most of the house’s cameras with spray paint, Mike still can watch over the house with hidden cameras and sound, and teams with Chloe and Jacob to fight back. The only outside help for Chloe is Mike at the security system company. Victoria goes to take Jacob hostage. As with the plot, the film’s performances are phoned in. Henstridge is decent at best, Jason Patric doesn’t seem like he cares, and the villain is played in self-destructive fashion by Scott Adkins. Some b-movies are so bad they’re good, like Sharknado, which is so ridiculous you have to watch it. Kind of like a car crash on the side of the road, you can’t help but look. This film is a crash all right, but not one worth slowing down for. Chloe is forced to try and open the safe. Chloe and Jacob take refuge under the dining room table. Chucks are sported in the film, as Chloe's fourteen-year-old son, Jacob, must help her fight back against the home invaders while rocking a pair of black high tops. Chloe and Jacob are hiding in a stairwell. Home Invasion. (2016) Jason Patric, Natasha Henstridge, Liam Dickinson, Scott Adkins, Kyra Zagorsky. Directed by David Tenant. Categories: Thriller, Crime.